So, so cute!! Love your style and creativity! So creative, really pretty, I bet all the kids will be excited to attend a party with invites like these! OMG!! 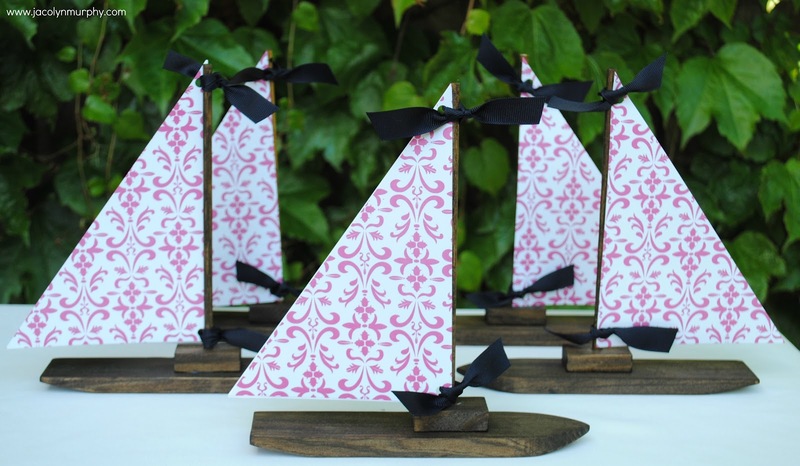 these are totally cute. I would love if you linked them up to Show Off Monday @ Kampenlane.com on Monday. Adorable boats--love that you used them for invites. They would be so cute at each plate setting, too. 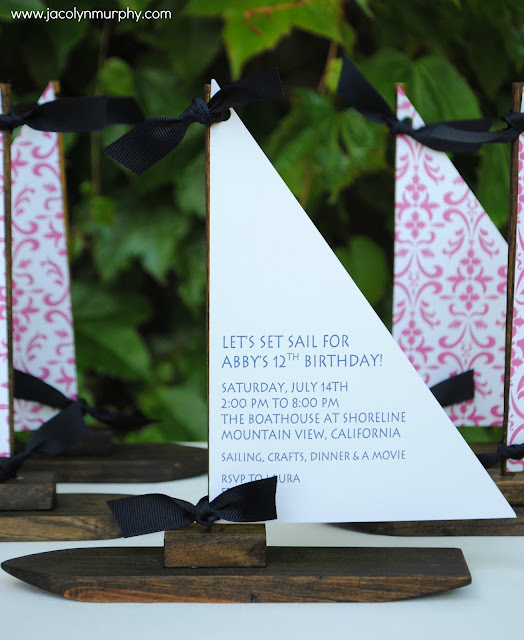 I love the nautical theme! Those are awesome invites! What a great idea! 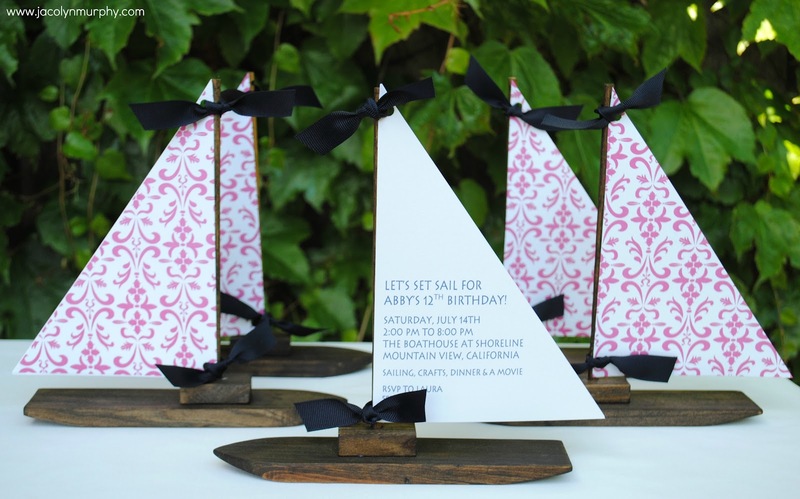 where did you purchase the sailboats for the invitations?